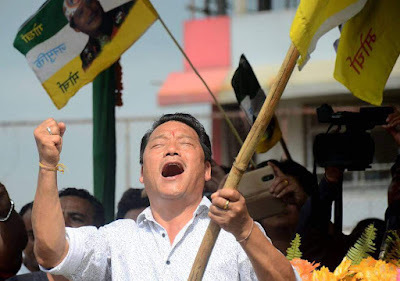 Suprme court order today in Bimal Gurung Vs Union of India & others case, issued notice returnable in two weeks, and has said that "No coercive action against the present petitioner (Bimal Gurung) should be taken". The supreme court odering " No coercive action shall be taken till the next date, umplies that the supreme court has given an interim protection against arrest and detention till the next date of hearing, since the aniticpatory bail application is still to be heard by it. This basically implies that the petitioner (In this case, Bimal Gurung) will not be arrested" explained Ashok Dhamija. This basically implies that the petitioner (In this case, Bimal Gurung) will not be arrested" explained Ashok Dhamija.